HMRC has issued Spotlight 41: Disguised remuneration: a Supreme Court decision. This spotlight follows on from the decision of the Supreme Court in Rangers 2012 plc. Football players and club executives were provided with loans from an employee benefit trust (EBT). These substantially topped up player's pay. The EBT agreement was made via a side-letter that the club tried to hide from the Scottish Premier League (SPL) and the club argued that the loans were not remuneration both in terms of the SPL rules and to HMRC. The loans made were never to be repaid and only the notional interest was taxed on a P11D to the extent that it was unpaid interest. HMRC argued that as the loans were not repayable they were disguised remuneration and raised substantial assessments for unpaid tax and NICs. The club appealed. Mid-way through the case it went into liquidation and the case was continued by the liquidators.HMRC also warn that the decision will be used to take action against other disguised remuneration schemes, including issuing follower notices and Accelerated Payment Notices. The Supreme Court agreed with HMRC that the payments were a redirection of earnings and were taxable and subject to NICs. HMRC’s view is that this case applies to a wide range of disguised remuneration tax avoidance schemes, no matter what type of third party is used, i.e. whether routed through an EBT, EFRB or under a contractor loan scheme. Although not specifically referred to it is possible that it could also apply to certain payments for Image rights. An email address is provided for taxpayers who wish to get out of such schemes and who don’t already have a contact at HMRC. 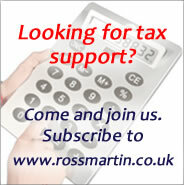 External links HMRC's spotlight can be found here.